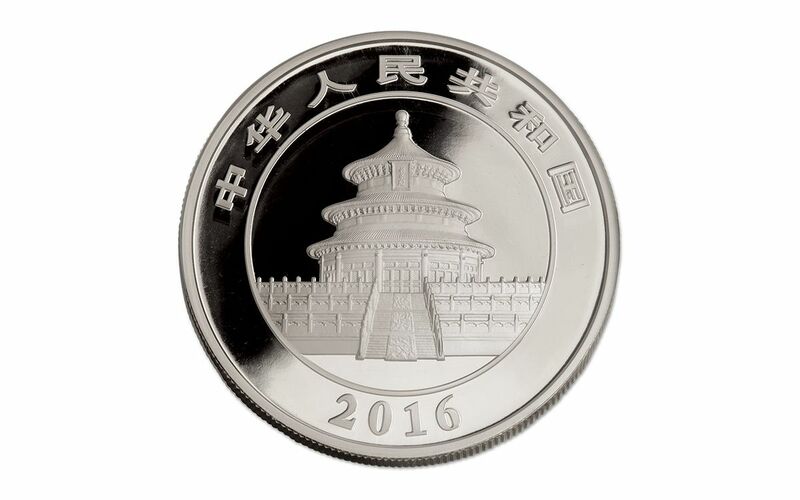 2016 marked a new beginning for China's Silver Panda series. For years, these coins had been struck with their Troy ounce weight -- but not after 2015! 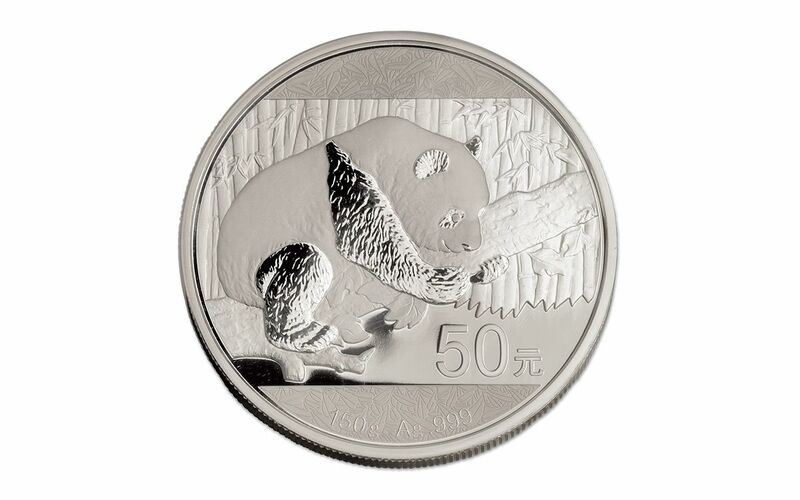 Starting in 2016, the full range of both Gold and Silver Pandas has been issued in metric weights. And nowhere can those changes be better seen than with these enormous 150 gram Silver Pandas, each with a diameter of 70 mm! While the change to metric weight has certainly shaken up the numismatic world, one thing about this series will never change -- the fact that they always change! 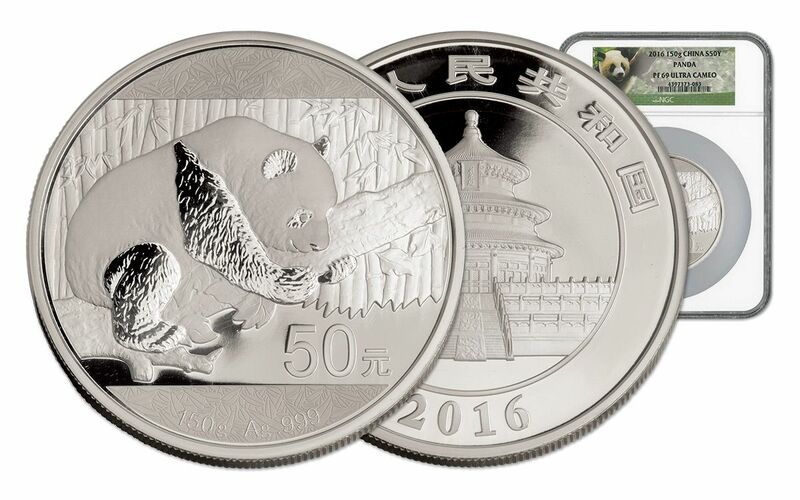 Every year, the China Mint issues a brand-new, one-year-only design for their Pandas, making each mintage highly sought after by collectors around the world. 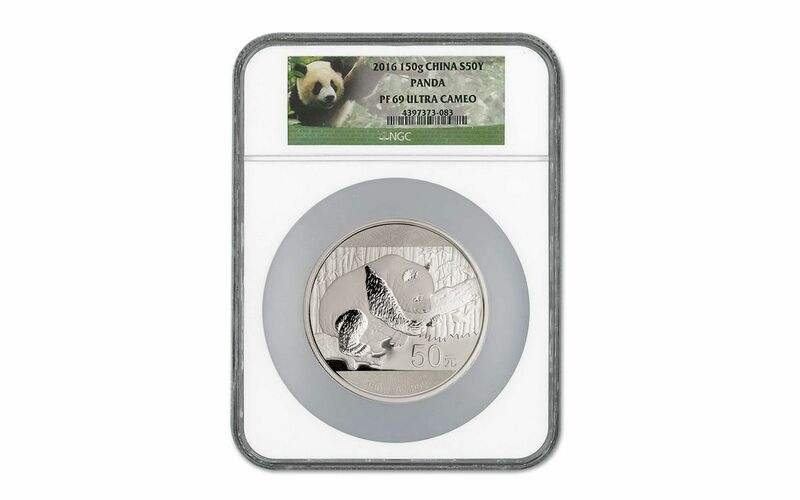 Struck in 99.9% fine silver and bearing a legal-tender value of 50 Yuan, these 150 gram Silver Panda Proofs feature the 2016 design of a panda clinging happily to a tree branch -- and there's no better way to enjoy this year's design than with these massive proofs!